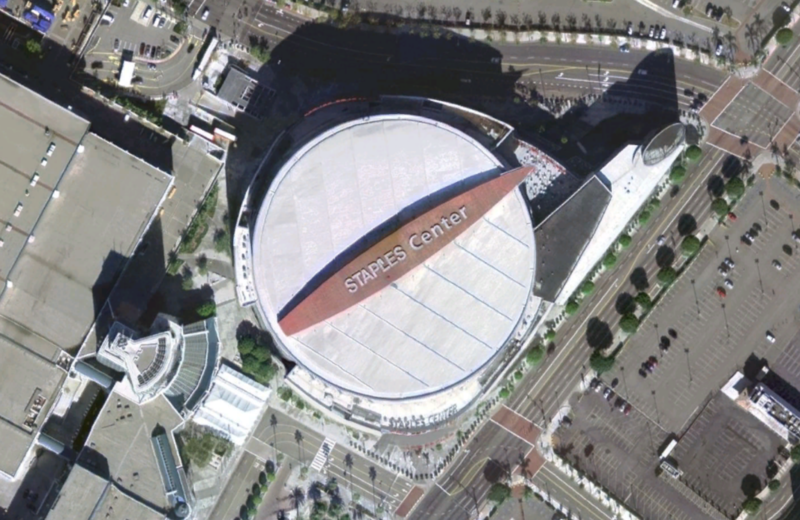 The Staples Center was originally built in 1999 with a single ply membrane. Based on the height and locations of a large freeway interchange the roof of the arena is visible to millions of travelers a year. 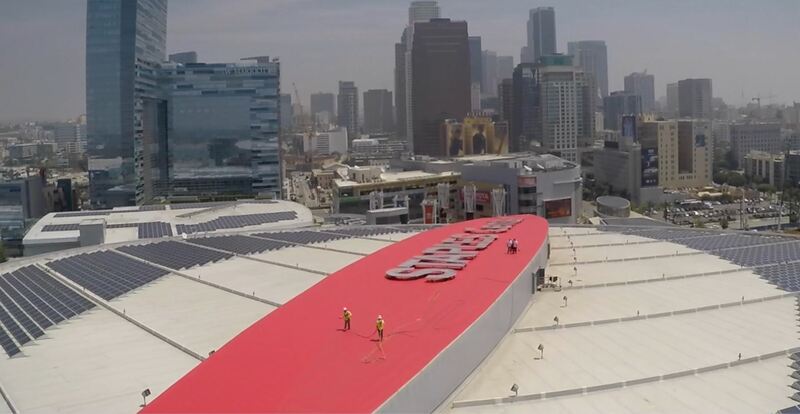 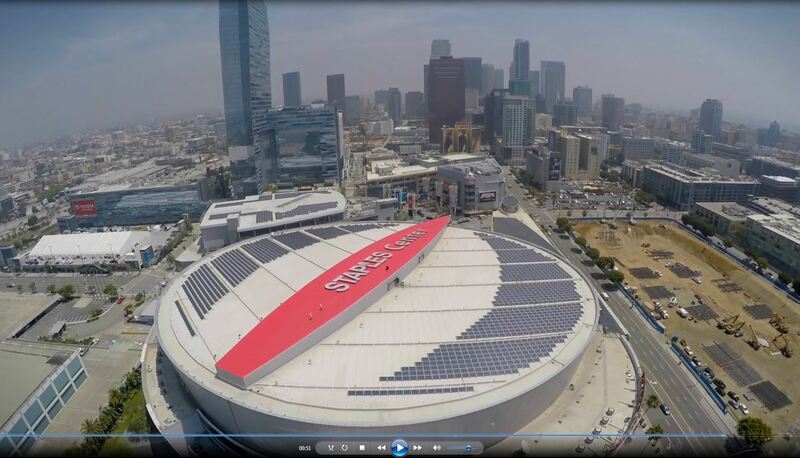 The roof of the Staples Center has become an important part of its’ signage and has created a cultural landmark for Los Angeles. 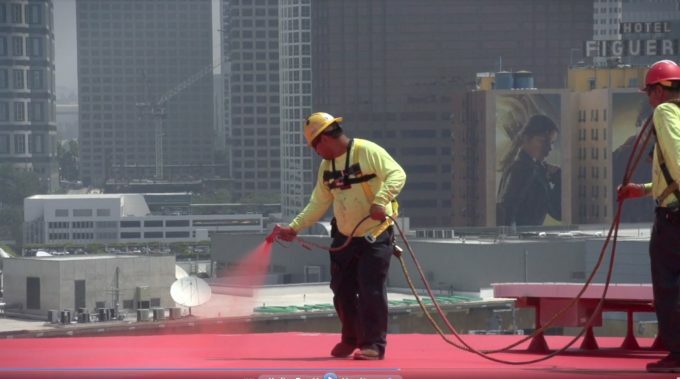 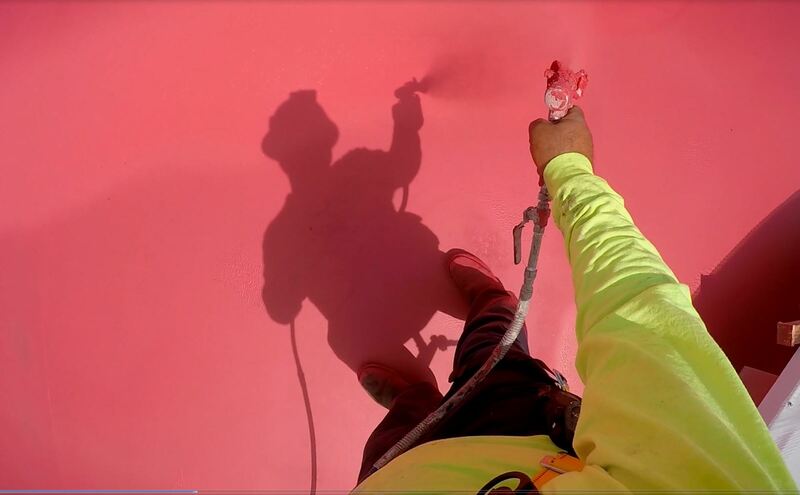 In 2015 Western Colloid was called upon by the original single ply manufacturer for help in creating a roof system that would refresh the now faded color and also extend the life of the existing membrane. 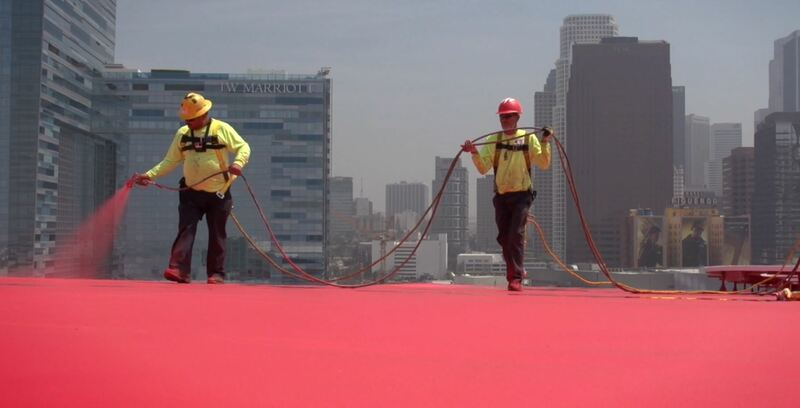 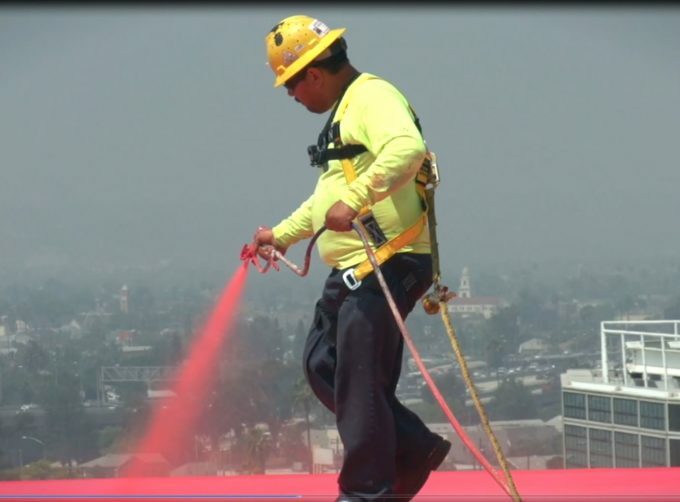 The biggest challenges on the project were not with the roofing products but with keeping the technicians safe throughout the installation process. 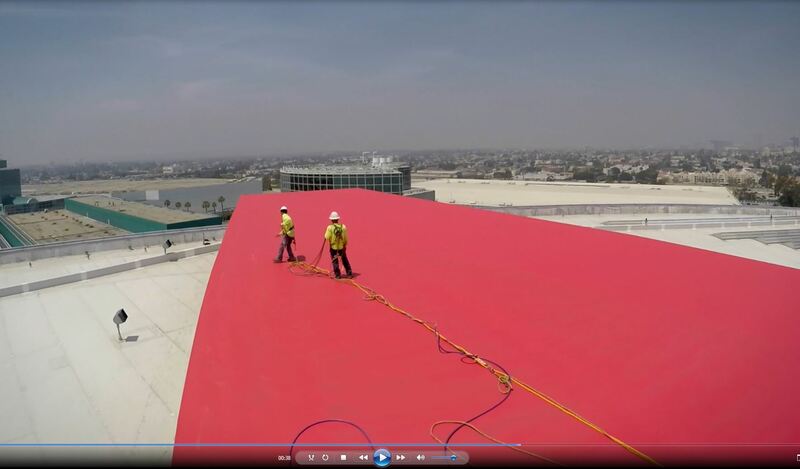 As you can see the contractor succeeded in refreshing the vibrancy of the color at the same time as extending the life of the roof. Western Colloid provided a custom color for their #720 ARC ElastaHyde, acrylic elastomeric reflective coating, for the portion of the roof with the logo signage. Thanks to TSP Roofing Systems for supplying us this drone footage.